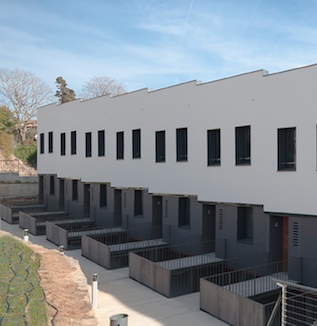 Constructora d’Aro has developed an innovative construction system based on the industrial construction of multi-family residential housing using stackable three-dimensional modules. 1. 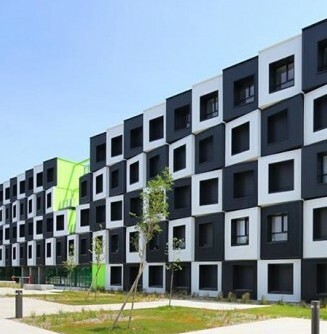 Buildings are created from stackable three-dimensional modules. 2. Each fully-equipped module is painstakingly put together along an industrial assembly line, ensuring a high-quality final product. 3. 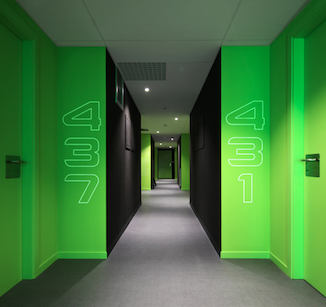 Interior design is crucial to structuring and optimising the use of space. Compact Habit® allows spaces to be extensively reused and relocated, which is impossible to achieve using a traditional construction approach. 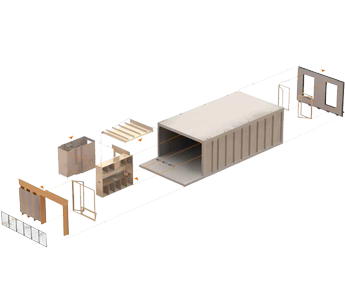 Modules are manufactured along an assembly line, minimising the risks to workers. 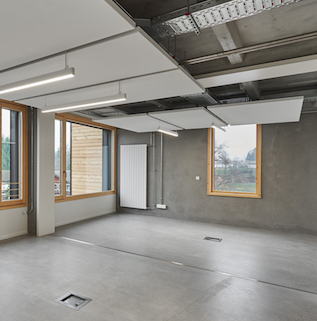 A cleaner construction system: electricity consumption, water use and waste management are fully optimised, and noise pollution during building is vastly reduced. Thanks to the industrial manufacturing process, production is standardised, quality-controlled and fully traceable, ensuring vastly superior quality to the traditional construction approach. The module-based system ensures excellent sound isolation performance and energy efficiency. The overall construction period is reduced by 60% relative to traditional construction. 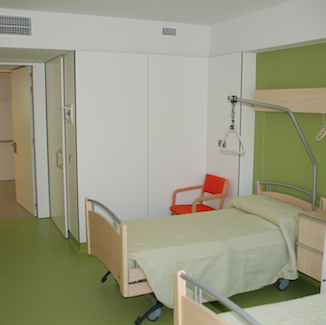 Compact Habit® can be used to create homes of various sizes, layouts and styles. Interior and exterior finishes can be customised, opening up limitless possibilities for designing unique homes of between 40 and 120 m2 and for constructing buildings for a wide variety of uses.